Wildland fires play a critical role in maintaining the ecological integrity of boreal forests in Alaska. Identifying and maintaining natural fire regimes is an important component of fire management. There are numerous research projects that directly or indirectly address historical fire regimes in the Alaskan boreal forest, however, many are either unpublished, have an extensive amount of unprocessed dendrochronological (tree age and fire scar) samples, or their data were used for other purposes. Furthermore, there has not been a compilation and comprehensive assessment of these data to provide a more complete understanding of how fire has historically impacted the boreal forest ecosystems of Alaska. The goal of this project was to compile and synthesize existing Alaska boreal forest fire history literature and datasets. This includes a literature review and synthesis of publications related to fire regimes in boreal forests in Alaska (the pending general technical report "Fire Regimes of the Alaskan Boreal Forest"), and incorporation of the reference information into the Alaska Reference Database. 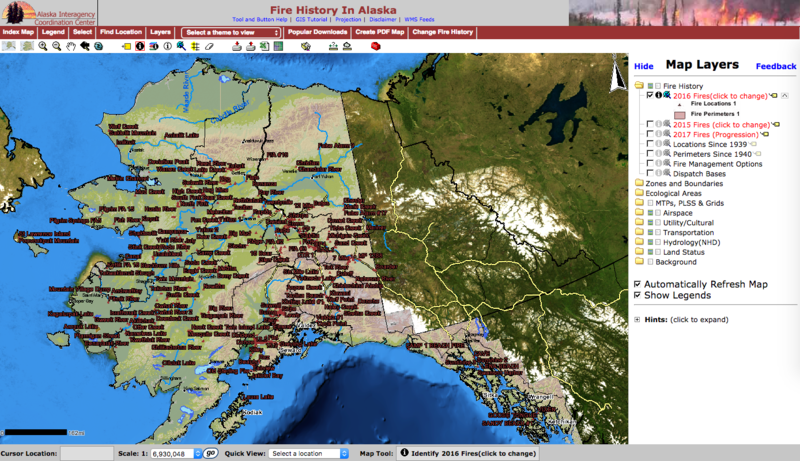 Fourteen existing published and unpublished fire history (or stand age) datasets were compiled (and as necessary, processed) into the standardized Alaska Fire History Database, and data summarized by plot are available through a dynamic map interface (within the Alaska Fire and Fuels Research Map). Data compiled in the Alaska Fire History Database has also been submitted to the International Multiproxy Paleofire Database (IMPD). 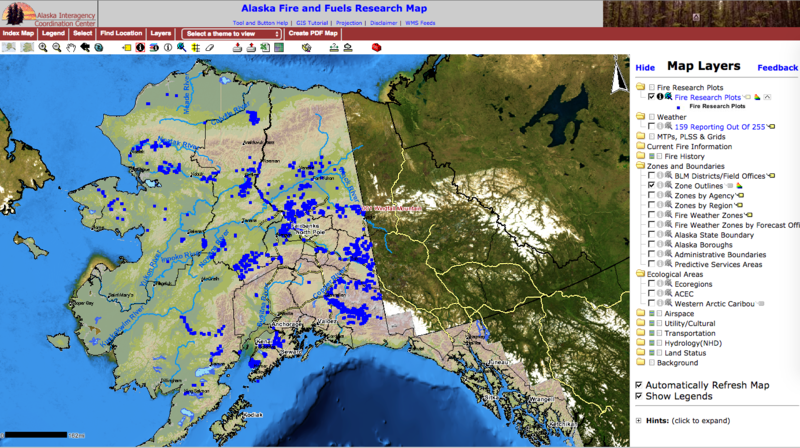 Finally, some of the project funds were used to clean up and improve data within the Alaska Large Fire Database (additional instructions for using the database), a database started in the early 1990s that includes reported fire locations since 1939 and fire perimeters since 1942. Funding for this project has been provided by the Joint Fire Science Program (JFSP Project No. 06-3-1-26). Project collaborators include the Fire and Environmental Research Applications Team (FERA) of the USFS PNW Research Station; NPS Alaska Region; USFWS Region 7; USFS Region 10; BLM Alaska Fire Service; BLM Alaska State Office; UAF School of Natural Resources and Agricultural Sciences; Yale School of Forestry and Environmental Studies; UW School of Environmental and Forest Sciences; Alaska Department of Fish and Game; and UAA Alaska Natural Heritage Program.